US City Travel Maps: Boston, Las Vegas, Chicago, Los Angeles, Miami and Florida Keys, New Orleans, New York City, Orlando, San Francisco, Washington DC. Exploring and enjoying the world’s great cities is as easy as unfolding these sturdy laminated maps. Destination Maps combine finely detailed maps with fascinating and practical travel information. Maps feature a large scale city map, richly layered with tourist and business travel locations and information. 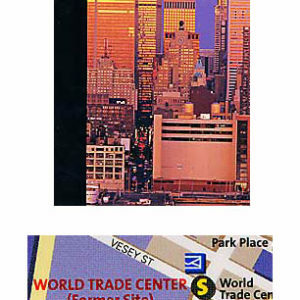 3-D styled drawings provide you with instant identification of famous buildings and landmarks, making orientation easy and creating a unique keepsake of the visit. The reverse side includes regional maps, top attractions, airport diagrams, travel tips, transit maps and an extensive index to streets, cities, neighborhoods, parks, points of interest, museums, monuments, government buildings, subway stations, hotels, and more. Multi-language legends are included on each map.